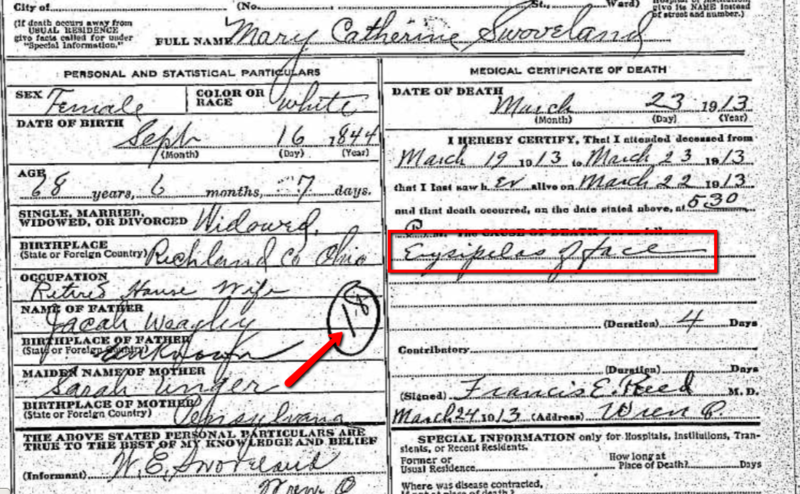 Death records for genealogy are one of the basics. However, there are two things you might not know about them. 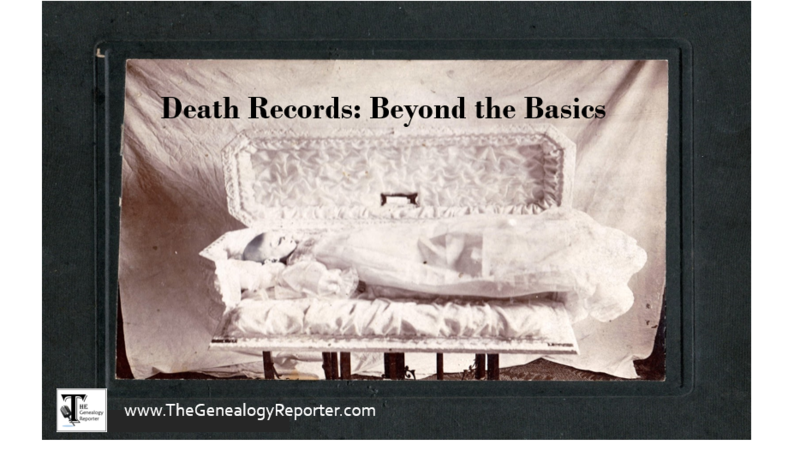 The Genealogy Reporter is reporting today on death records and shedding light on two little known facts. Not long ago, I attended a lecture solely about death records for genealogy. I can’t tell you how fascinating it was! Diseases I had never heard of and causes of death that included the word ‘homicide,’ were just a few of the interesting tidbits. When I got back home with this new found enthusiasm for death records, I was dying to share two things with our readers. It seems Mary died of “something” of the face. We might be able to guess the letters of that first word and do a Google search, but it would be much easier to take a look at the number in the circle. The number corresponds with the International List of Causes of Death (ILCD) which can be found at Wolfbane Cybernetic. There are several editions of the ILCD. To use these list’s effectively, you will need to choose the edition nearest, but not past, the year of death. In this case, Mary died in 1913. There was a list for 1909 and another for 1920. I chose the list for 1909. From the 1909 list, I looked for what #18 stands for. There it was. 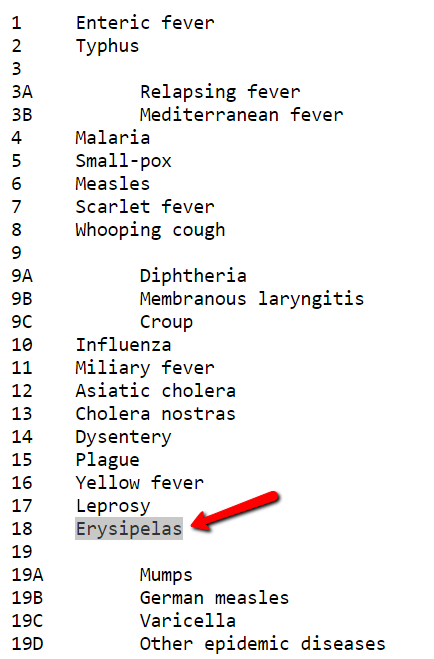 Erysipelas. It was easy to look that word up on Google and when I did so, I learned Erysipelas is a bacterial infection of the skin’s outer layers, usually caused by the same bacteria that causes strep throat. Isn’t that a neat tip? Sadly, not all death records have a “little number in a circle,” but if the one you are looking at does, this tip will be of help to you! No Body, No Death Record? I last found Daily ‘Della’ Hensley, my Great-uncle Joe’s wife, in the 1930 census for Harlan County, Kentucky. Then, he married again in 1936. What happened to Daily, I wondered. I couldn’t find a death record or any sort of grave listing in the nearby cemeteries. 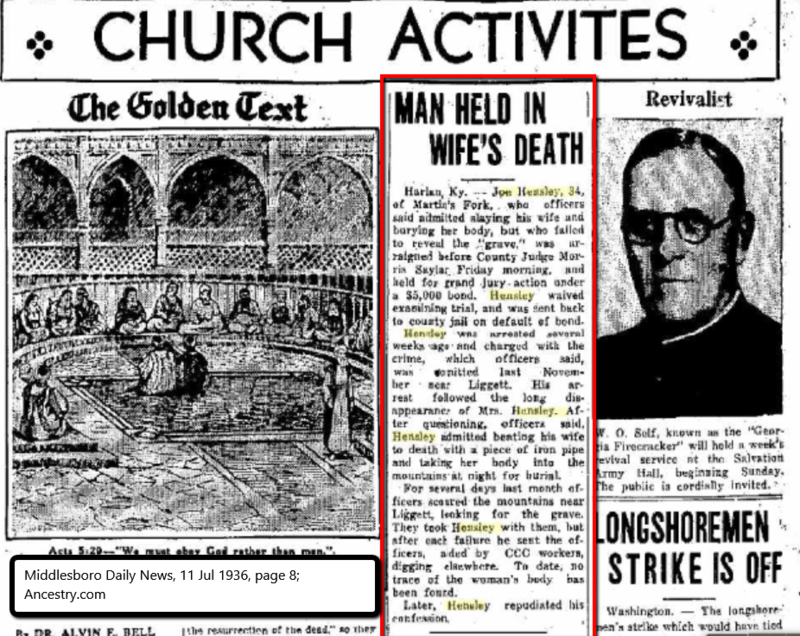 However, I couldn’t help but notice, when I did a search on Ancestry, a few newspaper articles popped up. Two and 1/2 years after her disappearance, her husband Joe Hensley was accused of her murder. Not just accused, but he apparently confessed. Further, his father, Wick Hensley (my 2x great-grandfather), was held under bond on the charge of murder for his alleged assistance to dispose of the body. I followed the case, and the next month officials had still not been able to find the body. Maybe he didn’t do it after all and was just highly motivated to say he did! 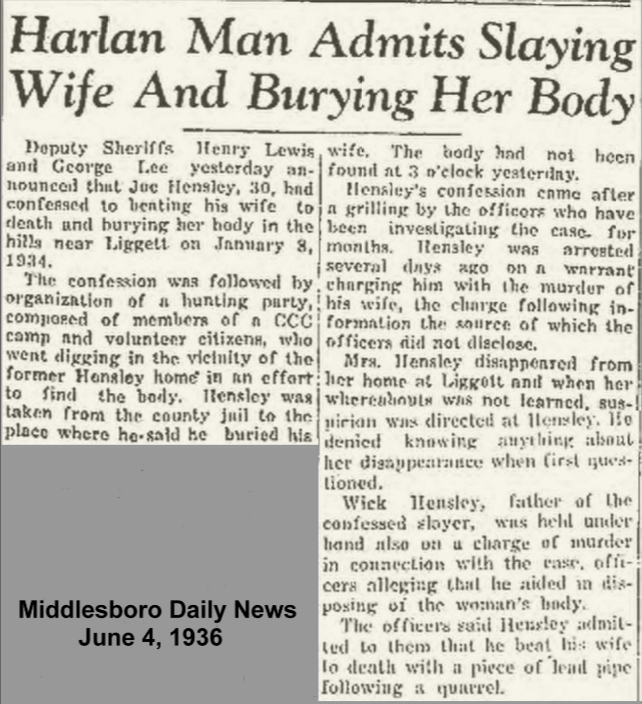 Numerous family trees recorded the date of death for Daily Hensley as 8 Jan 1934. That was the day she went missing. I wondered if there was a death record for her. Can a death record be made if no body is ever found? (2) When the person has disappeared and been continuously absent from the person’s place of last domicile without being heard from and was at the beginning of the person’s absence exposed to a specific peril of death, even though the absence has continued for less than a five-year period. (B) When a person who is on active duty in the armed services of the United States has been officially determined to be absent in a status of “missing” or “missing in action,” a presumption of death arises when the head of the federal department concerned has made a finding of death pursuant to the “Federal Missing Persons Act,” 80 Stat. 625 (1966), 37 U.S.C.A. 551, as amended and hereafter amended. Law’s regarding when a missing person can be declared dead change from state to state. They further may change depending on the time frame. I was never able to find a death record of any kind for Dailey, but maybe this information about the laws governing a ‘presumed decedent’ will be of help to you! What’s the most interesting death record you have ever come across? Leave me a note in the comments below. P.S. We would love for you to subscribe and follow The Genealogy Reporter by email and receive our free newsletter. Thanks for reading! You are welcome, Mary! Thanks for reading! What a fun and interesting read! Oh, the fascinating stories of family history! Thanks for sharing your research and findings. Your article was very informative and with noting. Thank you for sharing. Everyone has these fascinating stories, I just have farmers, LOL. You keep digging, Carolyn! Those farmers may have a skeleton or two hiding in the old shed! I had recently seen something about those codes for on death certificates and have a note on my desk to tell my readers about it. Just haven’t written the post yet. I think it is helpful information and the more we get the word out, the better. As to the story of the posssible murder. Wow! That was interesting for sure. Thanks for sharing it. Thanks for reading, Diane! Yes, when I learned about the death codes it was so helpful. I am sure your readers will enjoy learning about them as well. 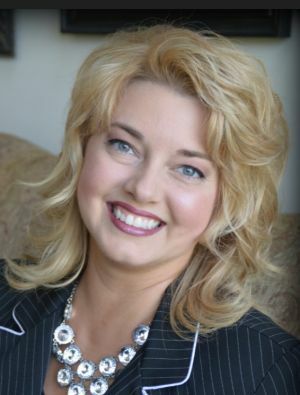 As a shout-out, I hope my readers will also visit your blog at michiganfamilytrails.com…love reading what you share there! What an interesting story! I was brought here while I was looking into more information about the death certificate codes. I don’t know when it happened, but apparently the wolfbane website is down. This breaks my heart because it was so useful! Do you know of any similar websites? Thanks so much for reading and reaching out to me! I am disappointed to see the Wolfbane Cybernetic death codes website down as well. Instead, try Google Books. Simply go to Google Books and type in ” International List of Causes of Death”. There may be several. Choose one that is closest to the time your ancestor died. Best of luck!